Of course, like all things in Hollywood, the claims on the back of this DVD are an illusion. The fancy pool that Mari Windsor is posing in front of is just a green screen backdrop, and the reason celebrities are so thin is that they only eat five days a week. Don’t try that at home, kids! Seriously, don’t. Take care of your body, don’t punish it. Notice the couch is bolted to the wall. Anything can be used as a weapon in a prison riot. Remember that the next time you’re in the pokey. Three hots and a cot. The stoney lonesome. 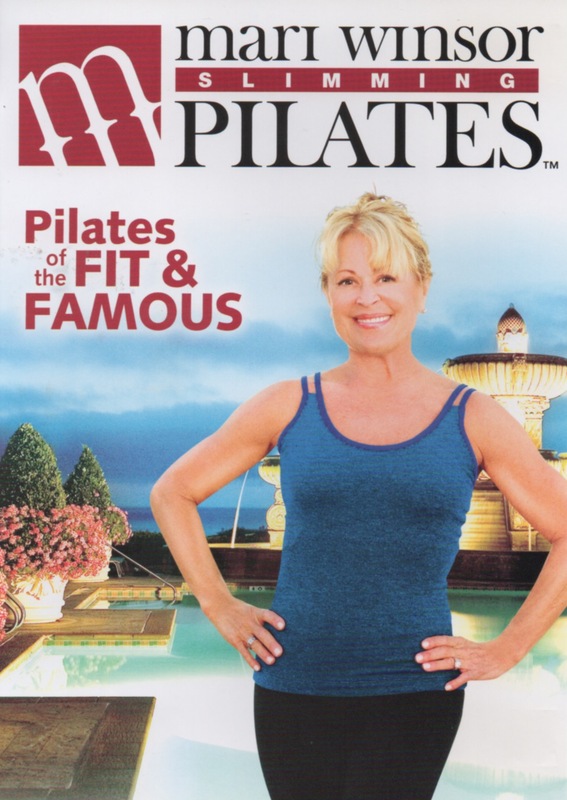 I start off with Cardio Pilates and I notice that the inmates helping Mari are all wearing athletic sneakers, while Mari, as the prison matron, wears cute ballet flats. That’s so Hollywood! Costumers are always trying to get you to wear impractical shoes. Mari’s favorite part of this routine is the “push away the curtain” move. “I like it so much, I’m actually going to do it with you, “ she quips, and we all do a little side-step with an arm sweep. I feel like a celebrity already! We move on to Total Body, in which, Mari Windsor manages to say “now that’s what I’m talking about,” about seven times in a 10 minute session. This workout features an “Accelerator Bar,” which is an old curtain rod retrofitted with some stretchy ribbons. I don’t have this piece of equipment, so I just pretend. Fake it till you make it! Lower Body is a series of leg lifts, because, as Mari Windsor reminds us, “ya gotta get in those tight jeans.” Or, here’s a thought, you could buy a pair of jeans that actually fits you. Don’t give me that death stare, Mari. When we mercifully get to the Abs section, the DVD keeps glitching and skipping. Oh, bummer, I guess we won’t have our perfect Hollywood ending after all. This entry was posted in Reviews and tagged 45 minutes, abs, calisthenics, cardio, Celebrity Host, dance, Pilates, resistance band, talky, trendy, uncomfortable banter. Bookmark the permalink.